The name of the INTENSIVE CARE chapter of the IAP is the “INTENSIVE CARE CHAPTER OF THE INDIAN ACADEMY OF PEDIATRICS”. INTENSIVE CARECHAPTER OF THE INDIAN ACADEMY OF PEDIATRICS.” Here in after referred to as “IAP IC chapter”. The administrative office of the IAP IC chapter shall be at Ganga Ram Hospital, New Delhi. 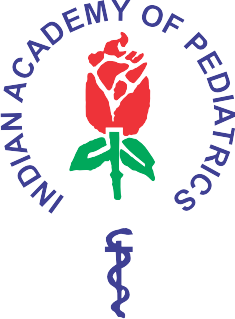 The IAP IC chapter shall be affiliated to INDIANACADEMY OF PEDIATRICS (hereinafter referred to as Central IAP). To serve as advocates for children and adolescents and help their families with reference to attainment of optimal, physical, mental, psychological and social health of children and adolescents. To encourage and advance the knowledge study and practice of the science of pediatrics in general & pediatric INTENSIVE CARE particularly, in all possible ways. and establish specialized pediatric training centers. To organize conferences, lectures, meetings, seminars, exhibitions, medical relief camps and allied activities for the promotion of its objectives, on its own or jointly with any other organizations or institution, to contribute by way of donations or contributions to any such organizations or institutions for promotions of the objects. To promote scientific collaboration of its members and make guidelines regarding standards for their practice and professional conduct. To organize, establish, conduct, superintend or control institutions for promoting directly or indirectly, practice, study and research in pediatric INTENSIVE CARE in any of its aspects. To establish and maintain libraries, reading rooms, laboratories and research centers for the promotion of its objects. To provide facilities to students, scholars and institutions for the study of or research in pediatric INTENSIVE CARE in any of its aspects by way of scholarships, fellowships, grants, endowments, etc. To found, maintain or award, either itself or in co-operation with other bodies or persons, fellowships, prizes, certificates, diplomas of proficiency in the science of pediatrics and conduct such tests, examinations or other scrutiny as may be prescribed from time to time. To print and publish and official Journal of the society, books, periodicals or publications which the chapter thinks desirable for the promotion of its objects. To consider and express its views on all questions affecting child health in India and to study, suggest, criticize or otherwise, advise or take part in the framing of laws affecting the science and practice of pediatrics and particularly in pediatric critical care diseases. To co-operate, affiliate with other bodies and to engage in such other forms of activities as may be decided upon by the IAP IC chapter from time to time for carrying out all or any of the objects of the society. To appoint officers and other staff as may be necessary or convenient for the conduct and management of the affairs of the IAP IC chapter and pay them such remuneration as may be prescribed from time to time. To do all such other things as may be necessary, incidental, conducive or convenient to the attainment of the above objects or any of them. To appoint editors and correspondents, whether in India or elsewhere, for promoting all or any of the objects of the society. The INTENSIVE CARE Chapter of Indian Academy of Pediatrics (hereinafter referred to as the IAP IC chapter) has been established for the objects specified in the Memorandum of Association. The fiscal year of the IAP IC chapter shall be from 1st April to 31st March next. At all places, hereinafter “he / him / himself” shall be taken to mean “she /her / herself” as well. Committee, which shall consist of elected Office bearers and Committee members from amongst the members as the case may be. Any person who is eligible to be member and undertakes to pay the prevalent membership fees as decided by Executive Committee from time to time, and to abide by the rules and regulation of the IAP IC chapter may be elected as a member of the category according to the eligibility criteria set by the Executive Committee in the manner hereinafter prescribed. Any doctor who is member of central IAP and is interested in the practice of Pediatric Critical Care is eligible to be a Life Member of IAP IC chapter. General Body shall decide the fee structure for membership from time to time. Once enrolled as member the fees will be non-refundable. Membership fees will not include the mail / postage charges for the journals to members residing abroad. A life member may propose any person who fulfills the eligibility conditions for admission as member of the IAP IC chapter in the category as applicant and such proposal shall be seconded by another Member. The proposals shall be in the prescribed application form for membership of the IAP IC chapter and shall be duly filled-in and signed by the person proposed and shall be accompanied by the fees as applicable which shall be returned in due time if the membership proposal is not accepted. The application will be scrutinized by the Secretary or by his designated Office Bearers and accepted if it meets the eligibility criteria. The secretary shall keep a register and / or computerized record in which the names and last known address of members shall be entered with the dates of their election and cessation of membership, if any. Any entry in the register and / or computerized record of member shall be deemed final as regards to admission or cessation of membership and their respective addresses. A member may resign his membership by giving notice in writing and the resignation shall take effect from the date on which the notice is received in the office of the Secretary, provided that in case of resignation by Office Bearer / Executive Committee Member one calendar month’s notice of the resignation will be necessary and that the concerned Office Bearer / Executive Committee member shall continue to serve till a successor is elected / selected or appointed, as the case may be, and that the resignation, however, shall not absolve any such member from paying the subscription for the year in which the resignation takes effect and arrears, if any. A member guilty of infamous conduct (as defined under ethical code by Indian Medical Council) or of acts prejudicial to the interests of the IAP IC chapter / Central IAP, may on the proposal of the Executive Committee of IAP IC chapter and after giving the member 30 days’ notice to make any written representation that he may desire to make, be expelled from the IAP IC chapter, by a resolution carried out by a three fourths majority of the members present in a General Body Meeting expressly called for the purpose or at the Annual General Body meeting of the IAP IC chapter. The notice of such meeting shall contain the particulars of the charges against the member and shall be accompanied by written explanation, if any, submitted by the member. Membership shall start from the date when admission of the member is approved. However, a new member admitted anytime in the calendar year shall be considered as a member for that full calendar year and the journals and other communications shall start only after the enrollment of the member, and back issues of the journals will not be provided to him/her. To attend meeting and conferences arranged or organized by the IAP IC chapter by paying the prescribed fees for the same, if any. To receive publications of the chapter, either free-of-cost or at a rate fixed by the executive committee from time to time. To use reading room and libraries maintained by the IAP IC chapter and to consult and use the books and periodicals in the library at such time and on such conditions as may be prescribed by the regulations made by the executive committee of IAP IC chapter. To enjoy such other privileges or benefits as may be determined by the Executive Committee of the IAP IC chapter. If any of the residential Indian citizen members moves out of India, all the correspondence, including journals and ballot papers to eligible voters, shall be sent only to the latest local Indian address as on records with IAP IC chapter unless they pay extra charges as applicable for the postage at any address. To stand for election to any office of the Chapter as prescribed in the election procedure. The election of the office bearers and the committee members of the Executive Committee of the IAP IC chapter shall be held by secret ballot as per the guidelines supplied by the Executive Committee from time to time, which shall be in line with those of the Central IAP. The Hon secretary will issue a election notice .The name address of the “Returning Officer” should be printed on all the communications related to the election including the election notice. Last date for the submission of nomination shall be at least three weeks from the date of notice. Election will be by postal/electronic voting. The ballot papers will be sent keeping 6 weeks time to return it back to the returning officer. The ballot papers will be opened at pre-announced date in presence of at least one office bearer. If any post is not applied by any member, such posts will be filed up during the first Executive Committee meeting by nominating an eligible member with the consent of a majority of the Executive Committee members. Elections results will be announced in the AGM meeting held during the annual conference. Any member who has any complaint about the election shall give the same in writing addressed to the Secretary within 21 days of declaration of the result. An election tribunal consisting of the existing Chairperson and two of the past chairpersons shall be constituted to go into the complaint and the decision of the tribunal shall be final. In case a member of the tribunal is involved himself in any way in such dispute, he shall not be a member of that tribunal and will be replaced in the tribunal by preceding Presidents. Any dispute shall be subject to jurisdiction where IAP IC chapter is registered. The chapter has established guidelines for PICUs and education programs, Basic Pediatric intensive Care Certificate Course (fellowship) has been ongoing since 2002 in collaboration with ISCCM (pediatric section). Various presentation were made to the national board by our senior colleagues in an effort to establish the DNB Pediatric Critical Care. With those efforts starting January 2007 DNB Pediatric Critical Care has been established in India. Guidelines and management protocols for pediatricians to help establish new intensive care units are also being worked upon. We are planning to standardize a two day Basic pediatric intensive care course (BPICC) by IAP (Intensive Care Chapter) on the lines of PALS throughout India. As the interest in the field continues to grow, more involvement of the members in the chapter activities as well formation of state branches is actively happening. In addition to the above structure, from time to time the General Body may sanction additional posts of maximum 3 Advisors as advisory committee and maximum 3 co-opted members appointed by the chairperson from amongst the valid members, which will not need election contest. However they will not have voting rights in Executive Committee. The General body may time to time change the number of Committee members depending on the strength of valid members of the IAP IC chapter. President of central IAP, secretary general of central IAP shall be Ex Officio member. All the office bearers and executive committee members shall be elected by all the life members of the IAP IC chapter from amongst themselves. Every year the election will be conducted for the posts of Chairperson Elect (1 post), Vice Chairperson (2 posts), and executive committee members (10 posts- 2 each from every zone). The Org. Secretary of next NCPCC will be offered 2nd post of the joint secretary. Tenure of this post will be one year (January- December). At the interval of every 2 years in odd year (e.g. 2007, 2009) the election will be conducted for the posts of Secretary (1 post), Joint Secretary (1 post) & Treasurer (1 post) along with that of Chairperson Elect, Vice Chairperson and executive committee members. East: West Bengal, Bihar, Orissa, Jharkhand, Sikkim, Andaman Nicobar islands and NE states. North: Delhi, Punjab, Rajasthan, Haryana, Himachal, J& K, Uttranchal and Chandigarh. The term of the all the office bearers shall be of one year except that of Hon Secretary, Joint Secretary & Treasurer. Term of these three posts will be two years. The term of executive member will be of one year. In case of resignation, the concerned office bearer or executive committee member may continue in office until a successor is elected, selected, or appointed by the Executive Committee as the case may be. Member contesting election for the post of chairperson elect should have served as a office bearer for any of the post for at least one complete term and should have been member of the chapter for at least last three years as on before 1st January of the current year. Member contesting election for the post of vice chairperson should have served as an Executive member/an office bearer for any of the post for at least one complete term. Member contesting election for the post of Executive Committee Member should have been a member of the IAP IC chapter for two complete years as on or before 1st January of the current year to be eligible to contest for the ensuing election. Such member, if elected for four successive years shall not contest election for a period of next two years for the post of the executive committee member. The post of Editor in Chief will be nominated by election by the General Body,. The life member contesting election for the post of Editor in chief should have been a member of the IAP IC chapter for three complete years as on or before 1st January of current year, to be eligible to contest for the ensuing election. The term of the editor in chief shall be for two years. On getting elected for two consecutive terms, shall not be eligible to contest election for next one term. All term of the executive committee shall be from 1st January to 31st December. The executive committee shall meet at such time and place as may be necessary for the transaction of the business of the IAP IC chapter as directed by the chairperson, and ordinarily it shall meet at least once in year. The Chairperson or his designate shall convene meeting of the executive committee. Ordinary twenty one day’s notice shall be given of all meetings of the members of the Executive committee, except in case of emergency when a meeting may be called at seven day’s notice at the express direction of the Chairperson. A special requisition meeting of the executive committee may be requisitioned by not less than five members of the committee asking for it in writing to the secretary who shall call a special meeting to consider the requisition, within three weeks of the receipt of such requisition by the secretary. The power to decide date and place of such meeting will be with the chairperson and secretary. The quorum for a meeting of the executive committee shall be 10 members. If there is no quorum within 15 minutes of the time fixed for the meeting, the meeting shall be adjourned and reconvened in ten minutes. No quorum will be needed for the adjourned meeting. If there were no quorum for a requisitioned meeting, the meeting shall be dissolved. The chairperson shall preside at the meeting of the executive committee, but in his absence the chairperson elect shall preside over the meeting. Every question / problem / dispute submitted to a meeting of the executive committee shall be ordinarily decided according to the majority of votes casted by the members present and voting at succeeding meeting. The co opted members will not have any voting right. In the case of equality of votes, the chairman shall have a second or casting vote in addition to his vote as a member. Such decision will be final and binding on all the members of the IAP IC chapter and the concerned parties. In the event that secretary considers a decision is required urgently, he may circulate proposal to all executive committee members and if he receives signed approval for this proposal from a majority of members responding within stipulate time limit given, this shall constitute a resolution as effective as one passed at a meeting duly convened and held. The executive committee may act not withstanding any vacancy in its body provided that if the number of members falls below the necessary quorum, it shall not act except for co-option. The IAP IC chapter may raise funds by way of subscription, advertisements, registration fee for program, donations, sponsorships, gifts, publications, collaborations with other bodies or organizations and by any such means permissible under ethical code, decision of the executive Committee and the law of country, for their activities. The IAP IC chapter will be required to club their accounts of all programs held during the financial year. All the property, movable or immovable, belonging to the IAP IC chapter shall be vested in the executive committee. All the moneys received by or on behalf of the IAP IC chapter shall be deposited forthwith in nationalized banks or scheduled banks selected by the executive committee and shall not be withdrawn from bank or banks except under the authority of and in the manner prescribed by the executive committee. Any money not immediately required for the purpose of the IAP IC chapter may be invested by the executive committee in such manner as it may deem fit and according to the regulations of societies registration act or Public Trust Act. To acquire by purchase, lease, gift or otherwise, with or without conditions, any property movable or immovable, for any one or more of the objects of the IAP IC chapter. To borrow or raise money in such manner or on such terms as the IAP IC chapter may think fit and according to the regulations of Public Trust Act / Societies Registration Act. To invest money of the IAP IC chapter not immediately required for any of its objects in such manner as may from time to time be determined by the executive committee and according to the regulations of Public Trusts / Societies Registration Act. To act as trustees and to undertake or execute any trust or agency which may directly or indirectly be conducive to any of the objects of the IAP IC chapter. The EC will have power to incur expenses for any of the purposes of the IAP IC chapter up to a limit as may decided by the General Body Meeting from time to time. No expenditure shall be incurred unless the same has been approved by the Executive Committee except by Secretary and chairperson as defined in rule 15-C(x) and 18-C respectively and except in cases of emergency when it will be allowed after approval by the chairperson of the IAP IC chapter. In all important matters pertaining to the working of the IAP IC chapter and the organization of conferences, seminars etc. the secretary shall consult the chairperson before taking a decision except in case of emergency. The secretary shall keep the chairperson informed about all important matters relating to the IAP IC chapter and shall send a copy relating to important IAP IC chapter correspondence to the chairperson for his perusal and comments. Call the meetings of the IAP IC chapter executive committee whenever necessary or called upon to do so. Have charge of correspondence in regulation to the IAP IC chapter. Keep accurate minutes of all the meeting of IAP IC chapter executive committee, and committee thereof. Keep updated records and documents pertaining to affairs of IAP IC chapter. Prepare annual report of the IAP IC chapter. Have charge of the furniture, library and all documents and assets of the IAP IC chapter. Collect all dues of the IAP IC chapter and deposit all amounts of the IAP IC chapter. Pass all bills for payment on behalf of the IAP IC chapter. Have powers to incur expenses for any of the purposes of the IAP IC chapter up to a limit as may be decided by the General Body Meeting from time to time. Perform all such other duties as are incidental to the office. Shall be responsible for keeping up-to-date accounts of the IAP IC chapter, with all the account books posted up-to-date. Shall dispose off all bills for payment as sanctioned by the Secretary and only on his written instruction. Shall have the right to point out any error or discrepancy in the order of payment of the Secretary and refer the order back to him with his remarks. In the event of disagreement persisting between the Secretary and the Treasurer, the matter shall be referred to the chairperson for final decision. Shall, in consultation with the secretary, prepare a budget of the estimated receipts and expenditure of the IAP IC chapter for each year and present the matter to the executive committee. Shall prepare an annual statement of accounts and balance sheet showing the financial position of the IAP IC chapter, get it audited by the auditors appointed at the annual general meeting of the IAP IC chapter and submit it for adoption by the executive committee and shall be jointly responsible with the secretary for all financial affairs of the IAP IC chapter. An Annual General Meeting of the IAP IC chapter shall be held at the annual conference of the chapter. Confirmation of the minutes of the last annual general body meeting of the IAP IC chapter. Appointment of editor in chief and executive editor. Consideration and adoption of the audited statement of the accounts. Any other business notice of which has been circulated with the agenda. Any other business of which 30 days notice has been given to the Secretary in writing. VIII.Any other business with permission of the Chair. Consideration andfixationofthelimitofexpensefortheexecutivecommittee,thechairperson, the secretary & sub-committees thereof. No business shall be transacted at any Annual General Meeting unless a quorum is present at the commencement of the meeting. Meeting. If within half an hour of the time fixed for the meeting, a quorum is not present, the meeting shall stand adjourned to a later time on the same day at the same place. A quorum shall not be needed for an adjourned meeting. At all requisitioned meetings, 10% or 50 Members, whichever is higher, shall form a quorum. If there were no quorum within half an hour of time fixed for the meeting, the meeting shall be dissolved. A question may be submitted to a meeting of the members present and voting may occur. In case of a tie, the Chairman of the meeting shall have a casting vote in addition to his own. Subject to any law for time being in force and subject to have powers vested in the executive committee, the executive committee shall give effect to the resolutions passed at the annual general meeting, general body meeting or requisitioned general body meeting. The chairperson can write to Government and National / International bodies and individuals on important issues and send messages, copies of which must be forwarded to the secretary & Central IAP Offices. The chairperson may when he thinks fit, or on a resolution of the executive committee or on receipt of a requisition of not less than 10% or 25 Members, which ever is lower, stating the object of the meeting addressed to the secretary, call a special requisition special General Body meeting of the members of the IAP IC chapter. Three weeks notice shall be given to the members of such meeting and notice should specifically mention the objects for which the meeting has been requisitioned. In the case of requisition, the meeting shall be held within 45 days of receipt of the requisition. Only the point raised in the requisition shall be discussed at such meetings. The power to decide the date and venue shall be with the chairperson and the Secretary. The chairperson shall have powers to incur expenses for any purpose of the IAP IC chapter up to a limit as may be decided by the General Body Meeting from time to time. In case of absence of the Chairperson, he will conduct the E.C. meeting. Will carry out all the activities entrusted by the Executive Committee. A Statutory notice required to be sent to the members under these rules shall be sent by post under certificate of posting to the last known addressed recorded in the register of members. A notice sent by post shall be deemed to have been served at the time when the letter containing the same would be delivered in the ordinary course of post. All notices, communications, memoranda and other papers shall be signed or authenticated by the secretary and when so signed or authorized shall be conclusive. When the seal of the IC Chapter is required to be affixed to any deed or document, it shall be done by the Secretary/Chairperson. Every deed or other document so sealed with the common seal of the IAP IC chapter (with the recommendation of the Executive Committee) and signed by the chairperson and by the Secretary shall be deemed to be duly executed. State chapter of IAP IC chapter can be formed with proposal signed by at least 10 members who should be members of the IAP IC chapter. The state branch will have 1 Chairperson, 1 Secretary, 1 Treasurer and Five Executive members. The proposal for formation of State chapter should reach to the Chairperson/Secretary in the prescribed format with the name of the Office Bearers. The State Branch will come into existence after the approval of the Executive Committee. The state chapter can enroll members from the state who should be member of IAP IC chapter and member of Central IAP. The state chapter will work in coordination with IAP IC chapter. The State chapter will decide its own Fee Structure and collect Fee from the members directly. The State Chapter will maintain its Account and will get the same audited. The state chapter will submit their accounts of previous year along with annual report of the current year to IAP IC chapter every year by 31st October. The state chapter will organize its scientific activity in coordination with the IAP IC chapter and shall see that there is no clash between two. The IAP IC chapter shall display logo and the registration number of the IAP IC chapter and the Logo of Central IAP on the letterhead / publications of the IAP IC chapter. The IAP IC chapter may be required to submit to central IAP proposed activities to be taken up by them for the succeeding year. Any subsequent change / addition in the program should be intimated to the Central IAP by the 15th of every month. IAP IC chapter shall submit an Annual Report of its activities to the Central IAP by 31st October every year. The IAP IC chapter will be required to submit an audited Statement of Accounts to the Central IAP within 7 months from the date of closing of their financial year. The rules shall not be altered, amended or added to except by a resolution duly notified and passed at a Special General Body meeting of the IAP IC chapter (at which no other business shall be discussed) by a three fourths majority of the members present at the meeting and ratified one month later by another Special General Meeting / Annual General Meeting. For matters not provided for in these rules and regulations, the IAP IC chapter shall be free to govern it self in such manner as it thinks fit and for that purpose to make rules and regulations from time to time not inconsistent with the rules and regulations of the Central IAP. In case of dispute and in absence of any provision in the rules and regulations of the IAP IC chapter for good governance, the rules regulation of the Central IAP and / or the decision of the Executive Committee of the Central IAP shall be taken as guidelines.